Key Stage 3 of our curriculum covers Years 7,8 and 9 (or Upper 3, Lower 4 and Upper 4 in our terminology). This important stage of the curriculum provides a solid foundation for GCSE and A Level studies. It is about developing a broad base of knowledge together with the skills that will enable pupils to excel in public examinations later in their school career. As a girls’ only environment with small classes we are able to focus on the way girls learn best and tailor our learning experience to the specific needs of our girls. In line with our school ethos at Key Stage 3 we aim to help our pupils to develop a passion for learning. 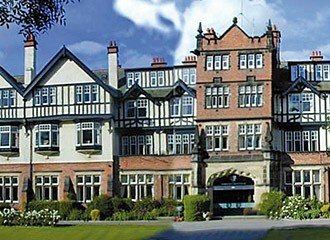 We believe that learning should be enjoyable, stimulating and challenging. We aim to bring the curriculum alive with exciting learning experiences delivered by inspiring teachers – whether that’s re-enacting the Battle of Hastings or learning Newton’s 3rd Law of Motion with the aid of a skateboard and a fire extinguisher! Of course, academic rigour is at the heart of our Key Stage 3 curriculum. During this time girls develop the academic foundations that will enable them to succeed later. Maths and English, along with Science and Modern Languages are core elements of our Key Stage 3 curriculum, making up around fifty percent of the overall teaching time. 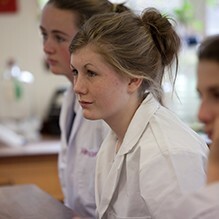 At this stage we also aim to give girls the opportunity to explore a diverse range of subjects before making choices at GCSE and as such the curriculum also includes Geography, History, Religious Studies, Latin, Drama, Art, Music, Food Technology and Textiles, with ICT integrated into all subjects. 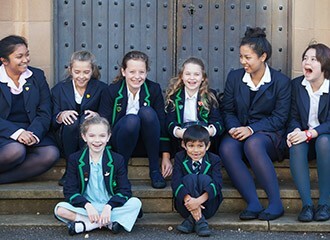 At Key Stage 3, we believe that it’s important for pupils to develop the ability to think independently and the confidence to make their own decisions – skills which will be key as they progress to GCSE and A level study. 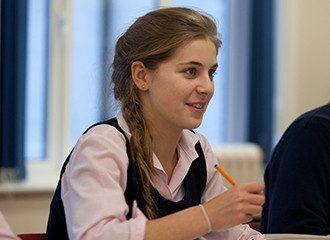 All of our Key Stage 3 pupils undertake an AQA Level 1 or 2 Project Qualification, or EPQ – which is equivalent to half a GCSE. This pioneering qualification gives girls the opportunity to undertake a significant piece of independent research on a subject of their choice – it’s a bit like doing a University dissertation, only on a smaller scale. It enables girls to work independently, develop valuable research and analysis skills, and to explore a subject which truly inspires them!